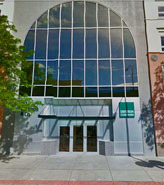 The new Billings Public Library is located at 510 N. Broadway. This facility offers a terrific venue for the Master Gardeners to reach a large portion of the public who are making use of the library facilities. Since the grand opening, there has been a substantial increase in library use and the enthusiasm already shown by the librarians for working in partnership with the Master Gardeners is amazing! We are planning for this to be an ongoing, year-round, opportunity with the Master Gardeners helping to organize and present educational garden activities to the community in partnership with the BPL librarians. These projects will take place in the children's area of the library. 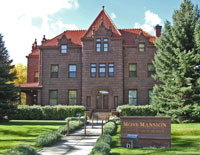 The Moss Mansion, located in downtown Billings Montana at 914 Division St, is listed in the National Register of Historic Places. Built in 1903 by Preston Moss, it was inhabited by the Moss family until 1984 when it was donated to the city of Billings. The mansion was designed by New York architect R.J. Hardenbergh who also designed the Waldorf Astoria Hotel. Volunteers who weed, plant, prune, and clean around the building maintain the grounds. Master Gardeners have recently renovated the west patio. For more information on volunteering contact the Mansion's volunteer coordinator Stacy Jacobs. The Northern Plains Resource Council is a grassroots conservation and family agriculture group that organizes Montana citizens to protect our water quality, family farms and ranches and unique quality of life. The Billings office is located at 220 South 27th Street and the gardens surrounding the building are a living example of the use of plantings that are diverse and drought-tolerant. Many of the plants are native and others thrive in our climate. Each spring Master Gardeners and other volunteers gather in the spring to clean up the gardens and get them ready for the summer. Anyone interested is encouraged to help maintain the gardens throughout the summer as well. All volunteers are invited to take a tour of the facility to discover the inner workings of a “green building”. Contact Linda Iverson for more information at (406) 248-1154. The annual Flower Show organized by the Thumb-R-Green Garden Club is an opportunity for Master Gardeners to assist in the show and to exhibit plants to be judged. The purpose of the show is to educate the public, stimulate interest in horticulture and floral design, and to provide an outlet for creative expression. The show is usually presented in late July/early August at the atrium of the D.A. Davidson business at 2809 2nd Ave N during the Saturday Farmers Market. Any one interested in participating in the show can bring their entries to the D.A. Davidson building the Friday before the show. Entries can include flower arrangements, educational displays and vegetables. Bring as many items as you like. Contact Mary McLane for more information. The White Tail Run Community Garden is located just south of Wicks Ln on Sioux Ln in Billings Heights. 2013 marks the second year of growing at the garden, which was better than the first, and getting even better. 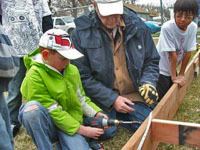 The organic garden is prioritized for the local low-income tenants of the Housing Authority of Billings with fifty 5 x 8 foot plots and designed to combat food insecurity and spread nutritional awareness. The St. Andrew Community Garden is located behind the Presbyterian church at 24th St W and Cook Av in Billings. The garden has 104 individual plots that are open to all members of the community. Applications from new gardeners are accepted in January and February with assignments made on an as-available basis based on the date the applications are received. Gardeners are expected to help with the half acre Common Ground Garden from which produce is provided to local service agencies. A small orchard and a labyrinth are also part of the garden complex. Seminars on various gardening topics are conducted each year. Master Gardeners can receive credit for volunteer hours by working in the Common Ground Garden. A Master Gardener Program was recently initiated at the Montana Women's Prison in Billings. Fifteen of the women have completed the Master Gardener Level (2) course. They have a wonderful new greenhouse at their facility. The women are able to contribute fresh produce to the prison from their efforts in the garden and greenhouse. There is also an outside garden at Passages located at 1001 S 27th St. The first Master Gardener classes were such a success that another class started in the fall of 2013. The Association was asked to introduce classes in Miles City at the Boys Detention Center and these classes are also doing well. The Master Gardeners annually staff a booth at the Healthy By Design Gardener’s Market located on the grounds of Riverstone Health at 123 S 27th St in Billings. The market, held in the summer months on Thursdays, was created to help provide inexpensive produce to low-income residents of the community. 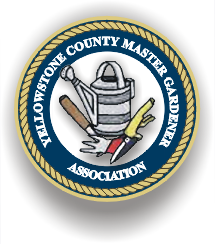 Master Gardeners offer advice and information on all aspects of gardening and have also created children’s programs that have worked well for the venue. They also receive a 1-hour volunteer credit for every pound of fresh produce donated to Community Services. Friendship House, located at 3123 8th Av S, is a nonprofit organization that provides educational enrichment and affordable childcare to the students and families of South Side Billings. The Children’s Garden is an integral part of the Friendship House program that includes three sections that are each 2 feet wide by 60 to 75 feet long with space for a seven or eight bale straw-bale garden. It is used to teach students life-long skills about nutrition, the origins of food, cooking, and responsibility. With the help of Master Gardeners, the Children’s Garden continues to provide these opportunities for the children of South Side Billings. Special K Ranch is located on 230 acres, 10 miles West of Park City and 8 miles East of Columbus, MT. It is accessible by taking the frontage road from either Park City or Columbus. It is the goal of the ranch to become as self-sufficient as possible through income from ranch production. SKR provides homes, on a working ranch for adults who have developmental disabilities. The ranch serves both men and women, ages 18 and older, whose primary disability is mental retardation and who may need to live within a supportive community all of their lives. It is not designed to deal with those individuals exhibiting extreme behavior, emotional disturbances, or criminal delinquency. SKR was recently awarded $5,000 in Altana Credit Union’s Charity Challenge. Interested volunteers should contact Carla Oberg at (406) 322-5520. The Montana Audubon Conservation Center, also known as Norm's Island, was formed with the collaboration of The Yellowstone River Parks Association, Yellowstone Valley Audubon Society and Montana Audubon. It was created to encourage reclamation of the area, to promote research and to develop and present educational programs. 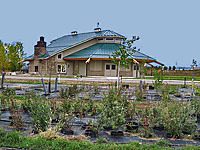 The center's 27 acres are situated on an old gravel pit, which volunteers have worked to reclaim. It is located at 7026 S Billings Boulevard, 1/4 mile south of I-90. Master Gardeners and other volunteers are welcome to help with tree planting, maintenance and education. For more information contact Mahail Kennedy at the Audubon center at (406) 294-5099. 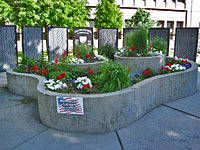 The Courthouse Planter, which also includes the Military Honor Wall, is located in downtown Billings next to the Yellowstone County Courthouse Building at 217 N 27th St. The project mainly consists of planting annuals each spring to compliment the many existing perennials and make the adjacent Military Honor Wall look beautiful. For the rest of the summer it’s weeding, deadheading and watering if needed. Anyone interested in volunteering can contact the Coordinator Gail Tesinsky or Extension Agent Amy Grandpre to set up a work time. "[The Association has] more freedom to raise money needed through several means such as plant sales, donating unsolicited money from speaking engagements, or soliciting grant funds or sponcerships for projects."